Why was the smart set so easily fooled by Bernie Madoff? Some knew it was a ruse all along—and just didn't care. There are many puzzles in the Bernard Madoff fraud story, but chief among them is this: Why did so many smart people get suckered into losing billions on an implausible con? We have had major hedge funds, money managers, and smart investors around the world caught by Bernie's scheme, with the total now touching something like $25 billion in claimed losses. The most popular explanation for so much money going into the Madoff funds is that investors, large and small, are gullible and lazy. And while there is tragedy galore in this story, including the many individual investors and foundations hurt here, the damage done to some of the biggest investors who put money with Bernie—nudge-nudge, wink-wink—is no tragedy. It is rank cynicism. Smart investors didn't care. They didn't care as long as Madoff kept posting solid numbers with low volatility. Skeptics who express a mixture of amazement, fascination and curiosity about the program wonder, first, about the relative complete lack of volatility in the reported monthly returns… In addition, experts ask why no one has been able to duplicate similar returns using the strategy. Clear enough? Madoff's stable returns were wildly unlikely, and the strategies didn't make sense to anyone with a modicum of sense about option markets—but the money kept rolling in. Rather than simply assuming that Bernie was so darn smart, or that someone else had done the diligence, some of the big institutions must have clearly recognized that Madoff wasn't actually doing what he said he was doing. They were smart enough to know he couldn't produce these returns from "split-strike conversion," and they probably thought it was hilarious that he kept saying it and that some people even believed it. Hoo-hoo! So, far from assuming Madoff was clean, in other words, they likely assumed that Madoff was running a different game than he talked publicly. Perhaps by piggy-backing on his securities firm's order flow he was front-running trades, or maybe he was using bid-ask spreads from market-making in some clever way that was, ahem, not entirely above board. But smart investors didn't care. They didn't care as long as Madoff kept posting solid numbers with low volatility. So what if he wasn't doing what he said he was? They figured that wasn't possible anyway. In their raging cynicism they were happy to go along with the con, so long as it goosed their own returns. And that is where irony kicks in, of course. Because the wise guys were right. According to the SEC, Bernie Madoff was running a fraud, just as they probably suspected, and not some nutty option strategy that they knew couldn't work anyway. The trouble is, it wasn't the fraud that wise-guy Madoff investors thought they had invested in (whatever that was, because they were careful not to ask). This particular fraud was a Ponzi scheme, and it took the cynics and wise guys down with it. 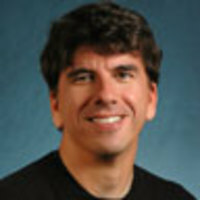 Paul Kedrosky is the editor of Infectious Greed, one of the best known business blogs. He's currently a senior fellow at the Kauffman Foundation, where he is focused on entrepreneurship, innovation, and the future of risk capital. He is also a strategist with Ten Asset Management, a southern California institutional money management firm.